One thing that I don't like to have on hand because of the mess is Play-Do. I shouldn't be so insistent about not having it around, because I really enjoyed playing with it as a child and I was allowed to play with it at Grandma's.... Hmmm.. I don't really recall playing with it at home, though. I guess that's because Grandma doesn't mind the mess. This post contains Amazon Affiliate Links and Ads which means that if you purchase from one of them, I may receive a small commission at no extra cost to you. My kids are messy when it comes to arts and crafts. 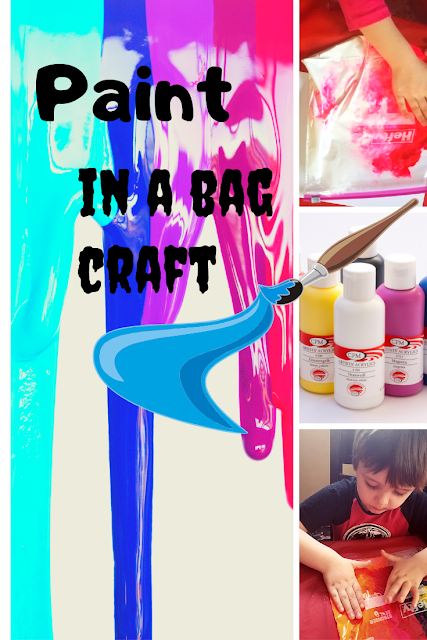 When they were younger and even more clumsy, I used to rip a head and arm holes into garbage bags and throw them over my children's heads so they could wear them and the bags would act as aprons to keep their craft off of them. Then I would lay table clothes on the floor under them so that clean up was easy and efficient. This may contain Amazon affiliate links and ads, which means that if you purchase something from them, I may receive a small commission at no extra cost to you. I love sensory bottles. I love to shake them up watch as all the glitter and other objects swirl in them and head to the bottom. 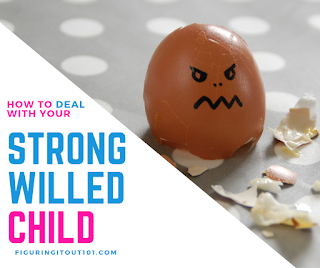 When my oldest started having difficulty at school and then at home, I became particularly interested in them as a way to time time outs with hopes that they would be an easy and painless way to get my son to settle down and listen. This post contains Amazon Affiliate links and ads which means that should you purchase from one of them, I may receive a small commission at no extra cost to you. 1. 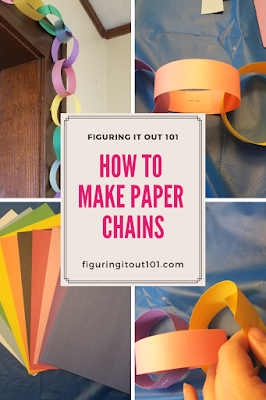 Paper Chains This was my favorite thing to do around Christmas time. It was super easy to make and it helped you count down the days until Christmas. 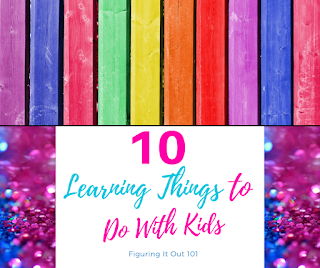 Teach your kids counting, colors, how to use scissors and patterns. Click the link to learn how to make a paper chain. 2. Bake cupcakes! Grab your favorite box of Betty Crocker or use a family recipe. 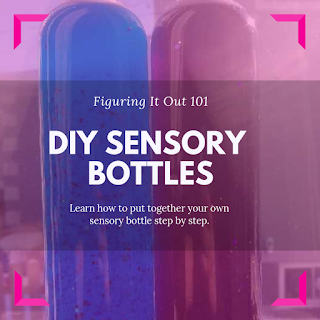 Have the kids help you measure out the ingredients to learn measurements or just how to help. 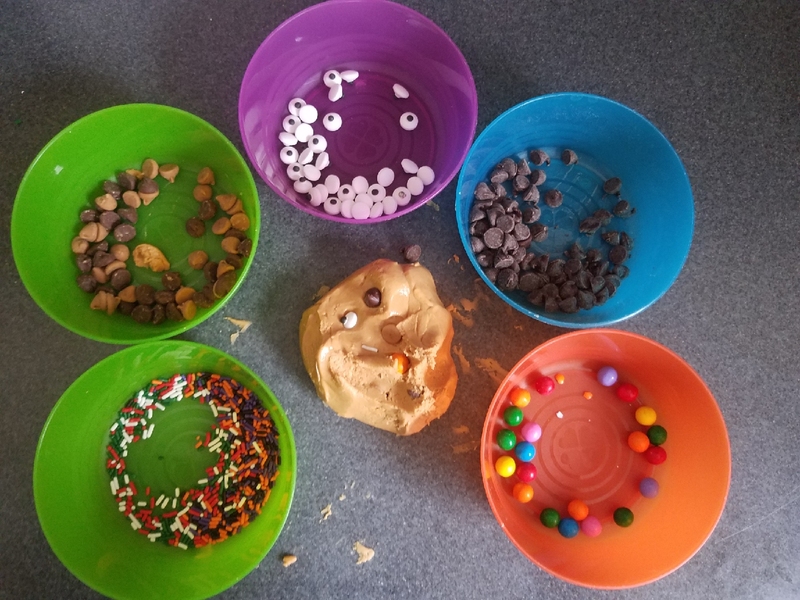 When the cup cakes are done baking and are ready to be topped, make some vanilla frosting, divide it into bowls, and add food color to each bowl for different color. You can teach your child colors in a fun edible way and if you want to add sprinkles or other toppings, you can also teach your child to count along. 3. ABC Magnets! What's nice about magnets is that they can stick to your refrigerator or dishwasher. Have your child play with them and try to spell them out. 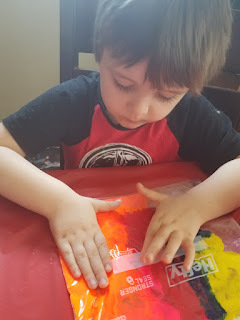 They can play with them while you cook dinner or you can use them on some metal sheet pans. Encourage them to remember the letters and try to sound out goofy word concoctions, they'll get a laugh out of you trying. 4. Paint in a Bag- I wasn't sure how my kids would like this, especially my older kids, but they really enjoyed moving the paint around and mixing the colors. On the plus side, it's also mess free! Click the link to learn how to do this. 5. 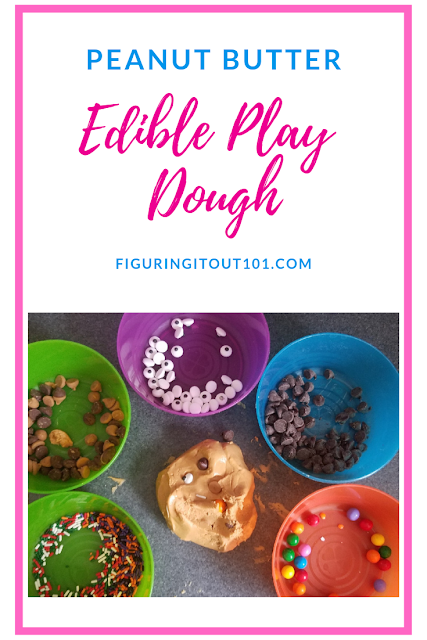 Peanut Butter Play Dough - Kids can learn all sorts of things when they play with play dough. It's even better when it's peanut butter! You can add chocolate chips or other edible ingredients to count with or to help sculpt. Play around with shapes, teach about size. If your child is allergic to peanut butter, try this one. You can color this, so that's a plus, but I'm not sure on the taste. 6. Make a bird feeder! I've made my bird feeders with pine cones, peanut butter, and bird seed. It's super easy, you just tie a string around a pine cone or apple stem, layer it with peanut butter, roll it in bird seed, and then hang it up outside. Teach your child how to take care of other creatures and sit and watch the different kind of animals that come by to eat from it. 7. Colored Pasta- I haven't done this one yet, but I definitely want to try. This is such a great idea! 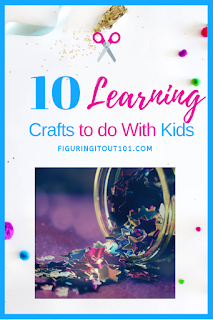 you can teach your kids about colors, teach them math by adding and subtracting, and when you're finished, you can teach them motor skills by making jewelry. 8. 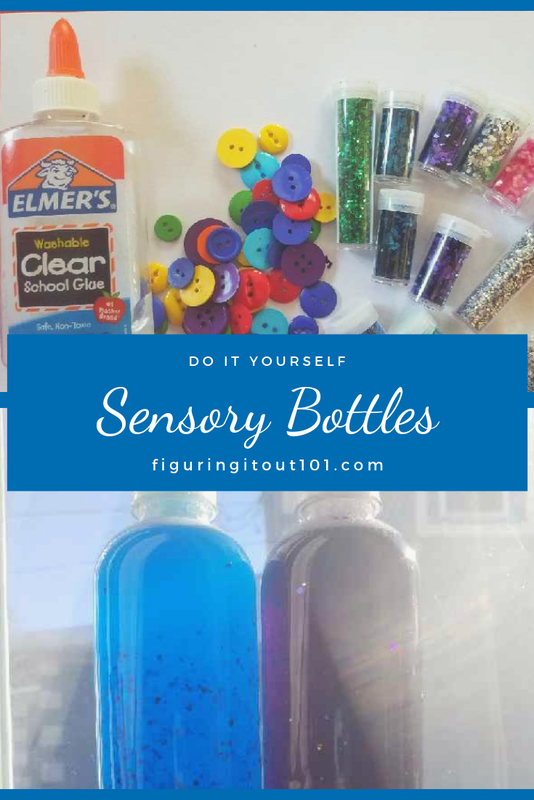 Sensory Bottles- Help your child learn texture, colors, density, and more with these Do It Yourself sensory bottles. 9. Ornaments! I'm not an artist, but I try to do something creative each year with my kids to hand out to grandparents or to keep for myself. My favorite one to do is the salt dough hand print ornaments which is in the link above. This doesn't really teach your kids anything, but it's a nice keep sake to have. 10. 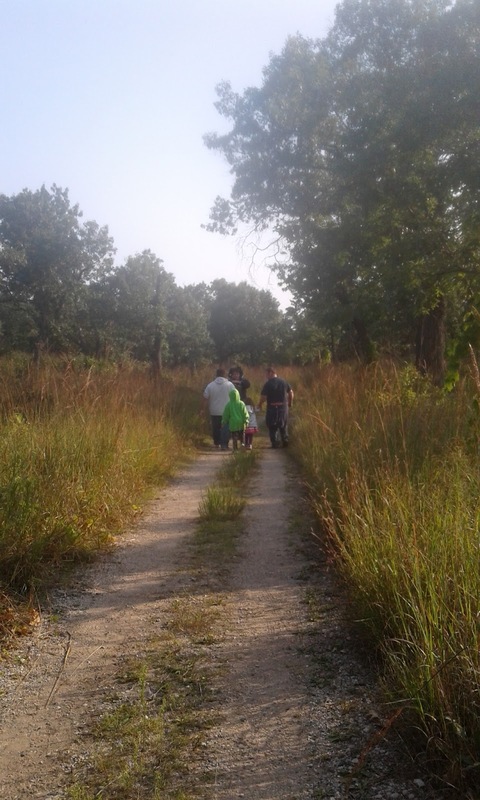 Go outside and explore! This isn't a craft, but it is a great learning experience. Watch bugs and look at the clouds. Discuss the color and texture of the leaves and talk about the temperature. 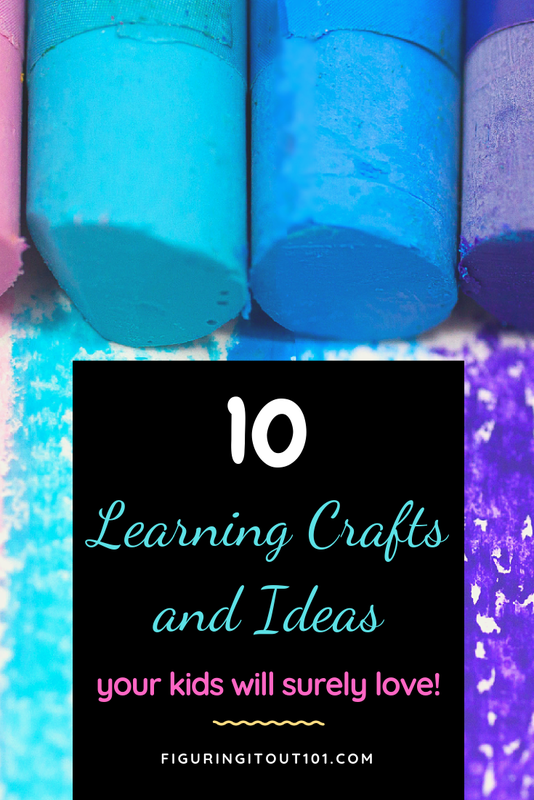 The outdoors has a never ending supply of learning tools. 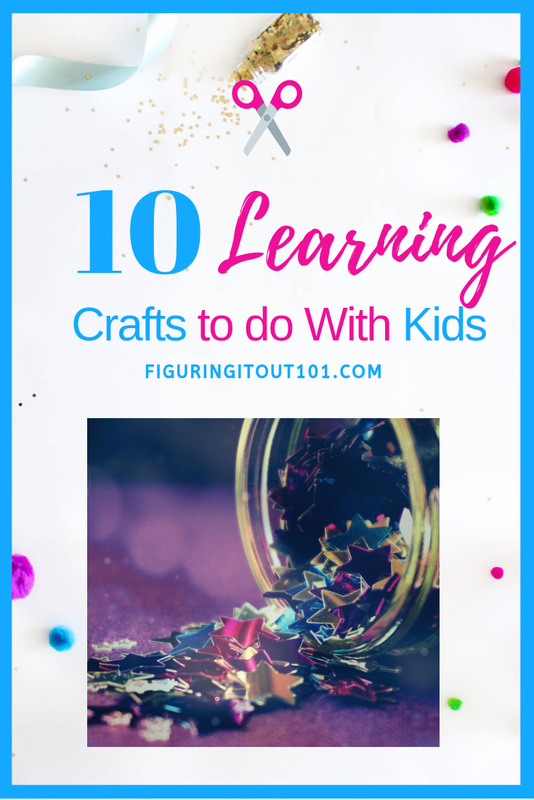 Tell me which crafts are your favorites or which ones that you like to do with your kids that aren't on this list.